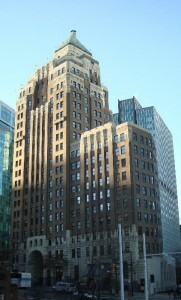 The Marine Building was built by McCarter and Nairne between 1929-1930. It’s a tribute to exploration and modern transportation and an internationally acclaimed example of Art Deco style. 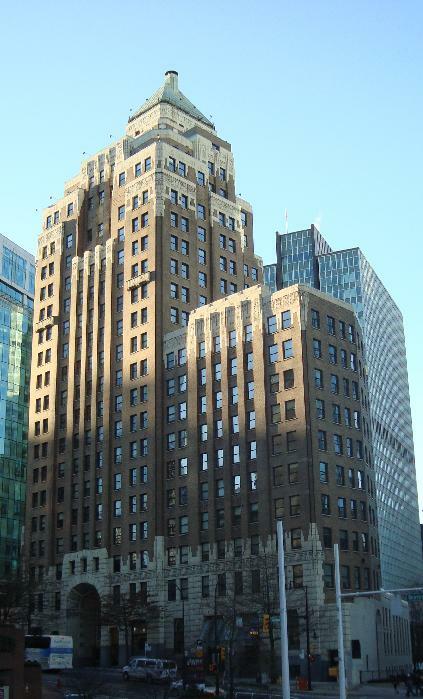 At the time this 21 story building was the tallest in the British Empire. Architects describe their design as “some great craig rising from the sea, clinging with sea flora and fauna, tinted in sea-green, and touched with gold” (qtd. in Kalman 117). 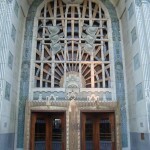 The Marine Building’s brick curtain walls are decorated with modernist Art Deco relief designs depicting famous explorers such as Captains Cook, Drake and Quadra and steam transportation themes. 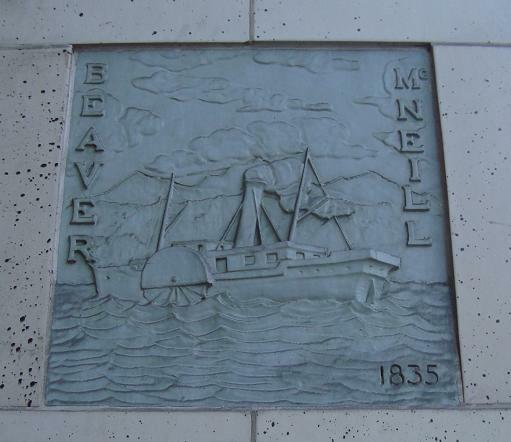 These terra cotta cameos on the lower walls show the discovery of the Pacific Coast and the history of transportation including trains, planes, zeppelins, automobiles and famous ships like the “Empress of Japan” and the “SS Beaver”. There are also the extravagant terra cotta friezes crowning the building with symbols of Neptune and his creatures. 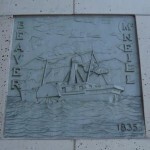 The main entrance arch has Captain Vancouver’s ship sailing out of a sunrise surrounded by bas-relief panels illustrating the argosies of West Coast maritime history. 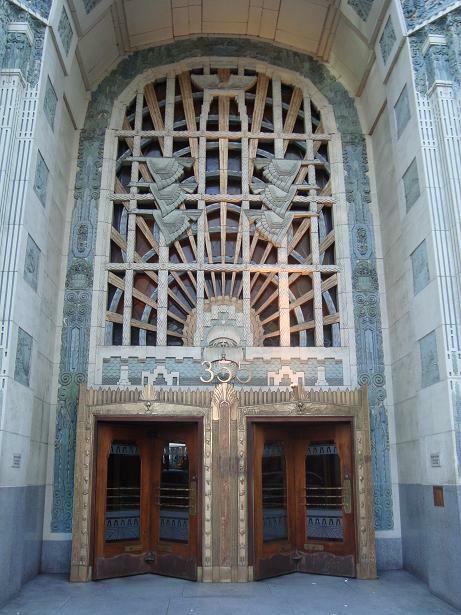 The extraordinary craftsmanship all throughout the building has made it one of the world’s finest Art Deco specimens.